We fear lots of things. Irrational things, like a zombie virus outbreak. When really we should focus on things like widening recalls, specifically the latest Takata recall. NHTSA finally figured out the cause of the Takata outbreak and has expanded the recall accordingly. It turns out NHTSA was right all along. Humidity can get in the faulty airbag inflators and cause the chemicals to degrade over time and possibly explode when the airbag deploys. Just recently two more deaths in Malaysia were linked to the airbags bringing the total to 13 deaths worldwide. Injuries from airbags total 100. This is not an oops. This is a serious problem. Why? Because all of the Takata airbags that use ammonium nitrate without a dessicant are at risk. All. That will add between 35 and 40 million vehicles to the recall list to the already 28.8 million vehicles under recall. 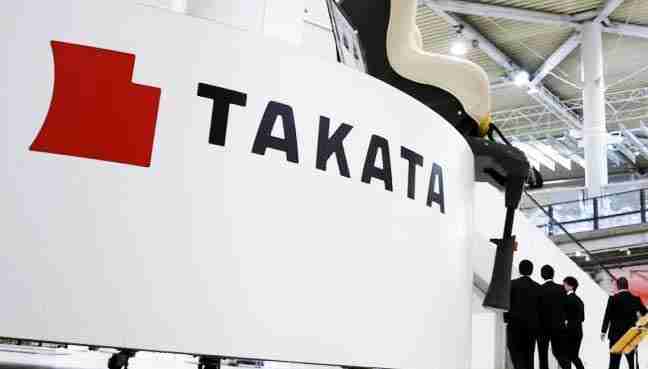 The Takata airbag recall is the largest in U.S. history at this point. A rather dubious distinction, I think. It is possible that the recall might expand even larger in scope if it is discovered that the airbags with ammonium nitrate and a desiccant are dangerous, too. The worst part about this, besides Takata lying and stonewalling investigations in the early stages of NHTSA’s investigation, is the projected completion date. The older vehicles that are in the most humid parts of the U.S. take precedence and the projected completion of all the recalls is December of 2019. That is a long time from now and a long time to be driving an unsafe and possibly lethal vehicle. In the meantime, Clarence Ditlow, head of the Center for Auto Safety, encourages drivers with older models in humid climates to demand that their vehicle be fixed or have the manufacturer provide them with a rental vehicle until repairs can be complete. He also suggests that the auto manufacturers set up factories to process the recalls. He points out that this recall shouldn’t take as long as it is forecasted. Given the circumstances, I happen to agree. This recall isn’t a recall on a taillight or a piece of trim. Recalling and replacing a key safety component of vehicles should be the priority of the auto industry. It seems not everyone is sold on self-drivers yet.